In the current political climate, it is no wonder that people everywhere are looking more closely at their surroundings, as well as the people that are occupying them. With tragedies related to gun violence, especially those acts that have been committed by teenagers, warning signs of reckless behavior in adolescents is being taken more seriously than it perhaps ever has been before. Whether it be video games, availability to firearms, or a general uninvolvement that some parents have in their children’s lives, the issue at the core of so many violent acts comes down to one very important thing: help being available. We are not here to begin a political argument. In fact, this blog post is meant to do quite the opposite. We want to be the light at the end of the tunnel, we want to be an option for parents and teenagers alike when they think they have exhausted all the resources that are seemingly available to them. Fire Mountain Teenage Residential Treatment Center specializes in helping troubled adolescents with a number of different issues that ail them. 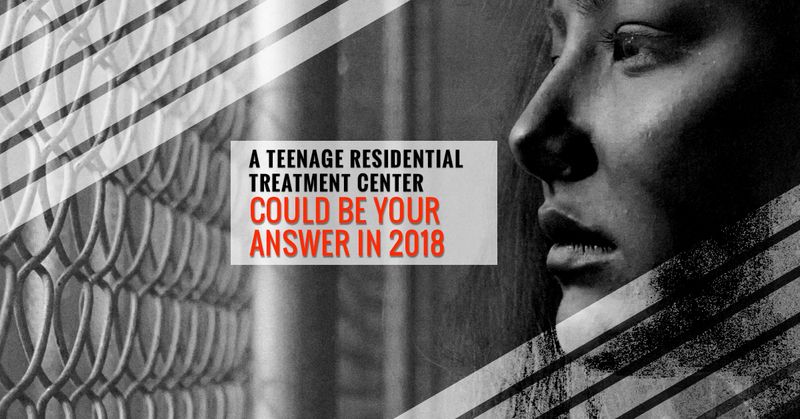 In this post, we want to give you a better idea of how a teenage residential treatment center could be the answer to the issues you have been facing in your home. We want you to know that there are options available and that these options could do more than simply make your home life more harmonious, these options can change your child’s life for the better. 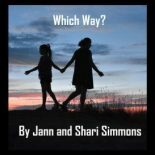 While it is easy for people to write off troubled teens as “bad seeds” or “delinquents,” the truth is we have all needed a bit of guidance from one time to another. Sure, you may not have been interested in exploring the world of drugs when you were a teenager, or perhaps you never had a violent temper, but you may have gone against the grain and wore an extra layer of eyeliner in rebellion, or snuck a cigarette or two behind the baseball fields at your very own high school. The point is, there are periods in everyone’s life during which they find themselves looking for their own identity. How we choose to do this, however, absolutely varies. For some children, being in a formal institution like a public high school only helps to confuse this already unsure period of their life. Plain and simple, at some points, particular people cannot be raised in a regular home or a attend a regular school. Sure, it may be easy to blame one common thread for these problems manifesting in certain children. Most commonly, it is the parents that end up being the focal point to which others seem to place their accusations. And in some cases, this is the problem. On the other hand, there are some parents who can pour all the time, money, and love into helping their child, and still, nothing positive will come of it. This often stems from a disconnect between the teen and their parent, when caring comes across as condescension. Much of the time, teens attending a residential treatment center will gain a better understanding of what their parents’ true intentions were after they have gone through treatment at Fire Mountain. While there is often a preconceived idea that their parents are simply trying to get rid of them by sending them away, it becomes blatantly obvious as treatment continues that they are attending the center to improve enough so that they can return to their family, their friends, in whole, their life. What About Out-Patient Treatment Instead? Many parents who contact us want to know why they have to send their child to a teenage residential treatment center, rather than simply finding them an outpatient therapy program. We understand that this may seem like a better idea to let your child remain in their everyday surroundings so that their life is not completely disrupted. Unfortunately, it is often those everyday surroundings that are lending to your child’s reckless behavior. Removing them from an environment that they only associate with their past uncooperative and rebellious behavior can only help to offer perspective that they perhaps have never experienced before. How Can You Know If It’s Time For A Teenage Residential Treatment Center? As the parent, you have read every parenting book you can get your hands on and still, nothing is helping. Your child has been given a number of different psychiatric diagnoses, none of which really fit. Your child may also be taking numerous medications. Your home feels like a war zone on a daily basis and you simply cannot go on walking on eggshells. You are exhausted, stressed, and at your wit’s end. Your child has been expelled from school for reasons related to their behavior. Your child has an addiction to drugs, alcohol, or video games. Your child has been hospitalized for psychiatric issues. Plain and simply, the longer you wait to address these issues and get your child assistance, the more likely it is that they are not going to be able to bounce back. If you have even considered enrolling your child in a teenage residential treatment center, we would suggest that you do so. The sooner you act, the better the results will be. Contact Fire Mountain Residential Treatment Center today and learn what we can do for you and your child. We want to offer you the hope you have been searching to find. Learn More About Our Treatment Center Here!